Preferred Habitat: Coastal, rivers, and lakes. 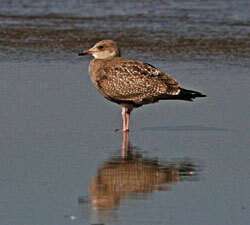 Notes: The Herring Gull is the largest common gull seen on the Upper Texas Coast. 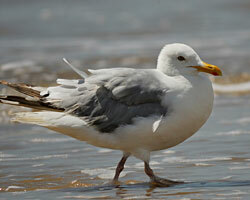 It is also the most abundant and widespread gull in the United States. 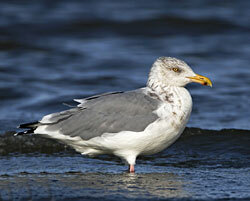 Herring Gulls are highly variable in color and size and can be difficult to distinguish from other large gulls. Adult plumage is acquired in the fourth year. In winter adults acquire streaking on their heads and breasts. All adults have yellow bills. Winter sub-adults vary in bill color and amount of streaking. All birds have pink legs.